Long time no posts, but I’ve just added a new product to the Galaxy People webshop. For the first time an open run of my standard size Sensorbat toy. There’s something particularly nostalgic for me about things that glow-in-the-dark. Takes me back to the 80’s with free cereal box gifts and all those tacky stickers. That slightly rough texture printed over the cards and stickers that imbued a glow that when fully charged lasted all of about 20 magical seconds. Anyway, that’s why it’s an open run, because GID is special. You can pre-order the toys at store.galaxypeople.toys until 9:00 am JST 18th March 2019. New Foes for the Galaxy People! 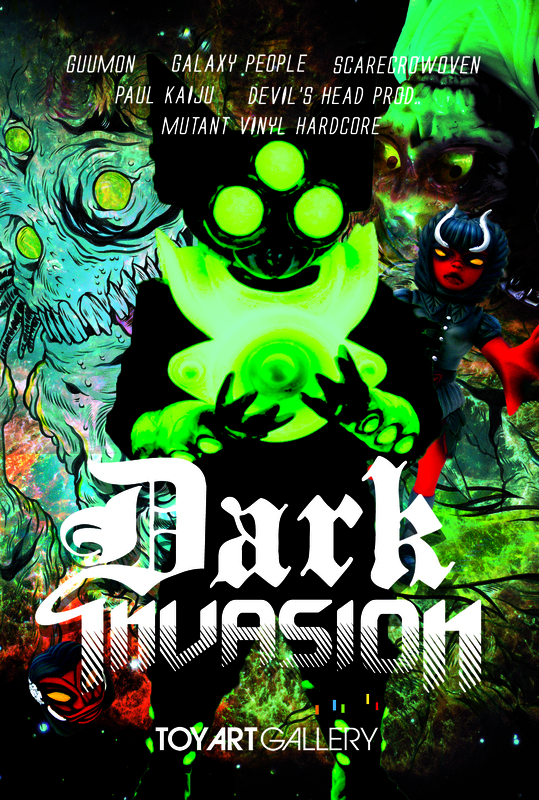 The Galaxy People face three new deadly foes in the form of Drexyl, a teleporting cat assassin, Skreel, the galaxy bat, and Tragg, ruthless dinosaur-headed mercenary. These new additions to the line up will be on sale at Superfestival 68 on April 26th, with a limited number of each reserved for sales later that day on the Galaxy People web-shop. Online sales will start 10pm (Japan Time), with Drexyl and Tragg priced at $30, and Skreel at $35. I just threw a contest up on Instagram. There are 2 free prizes up for grabs, the first being a painted one-off Sensorbat, and the second is a set of 3 mini figures, The Grappler, Helios and Meklops in glow-in-the-dark vinyl. Entry requires you to have an instagram account. If you don’t you’ll have to install it. From there follow me, @THEGALAXYPEOPLE, find the contest image, repost it adding the hashtag #TheGalaxyPeople in the comments. Couldn’t be easier! Winners will be announced on Sunday 27th April 2014. 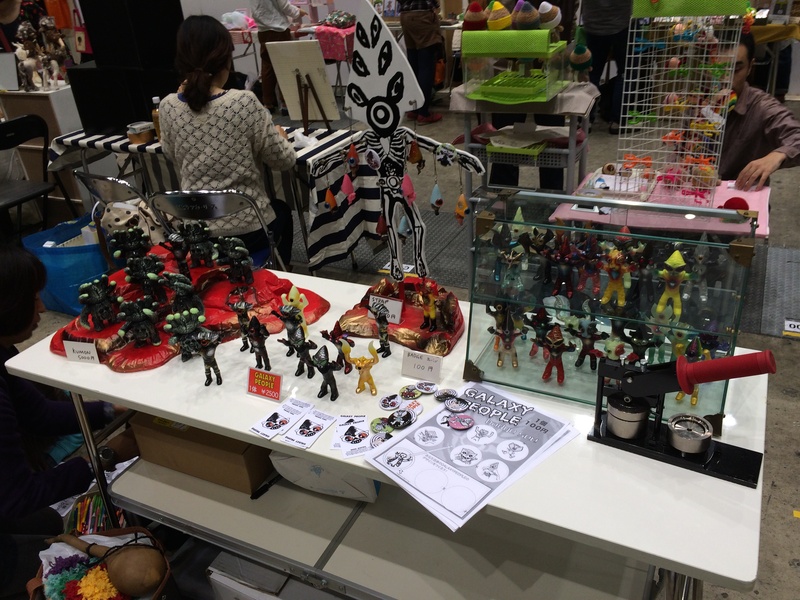 Yesterday’s set-up at Design Festa. Turn-out was massive, a huge thanks to all those who sought my booth out among the literally thousands of other exhibitors. Below: a surprise swarming of Shirahama’s Kumons overwhelm Meklops. Leftovers were limited, but for those interested there is a solitary Meklops up in the store now. Price ¥2500. 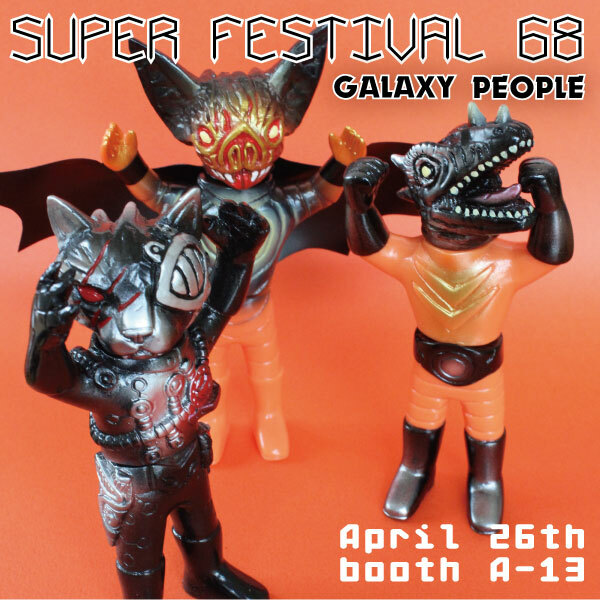 The debut Sofubi Galaxy People release is less than a week away! Three figures; Meklops, The Grappler and a new hero Helios. 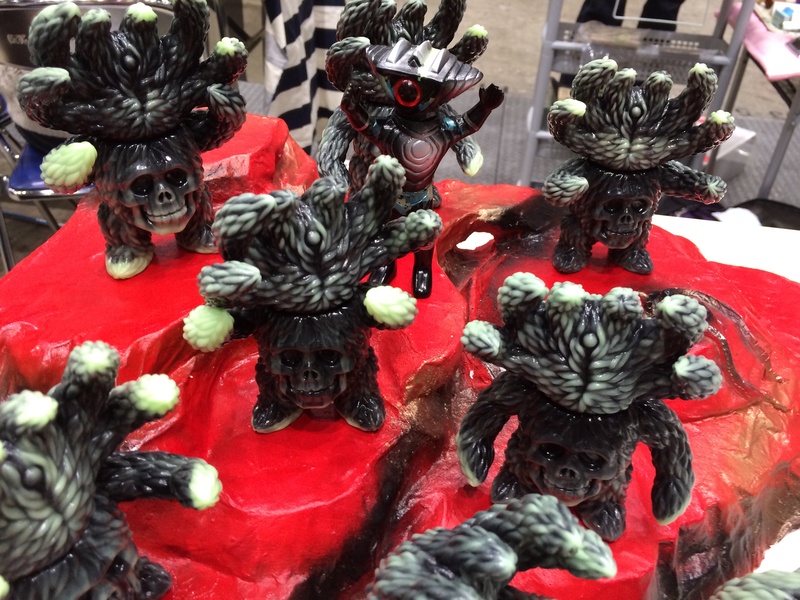 Approximately 115mm tall, the first release will take place courtesy of『PARALYZING TOYZ』(booth no. 8-28-09), at WonderFestival, Makuhari Messe on the Sunday 28th July. Price is 2500 yen each. 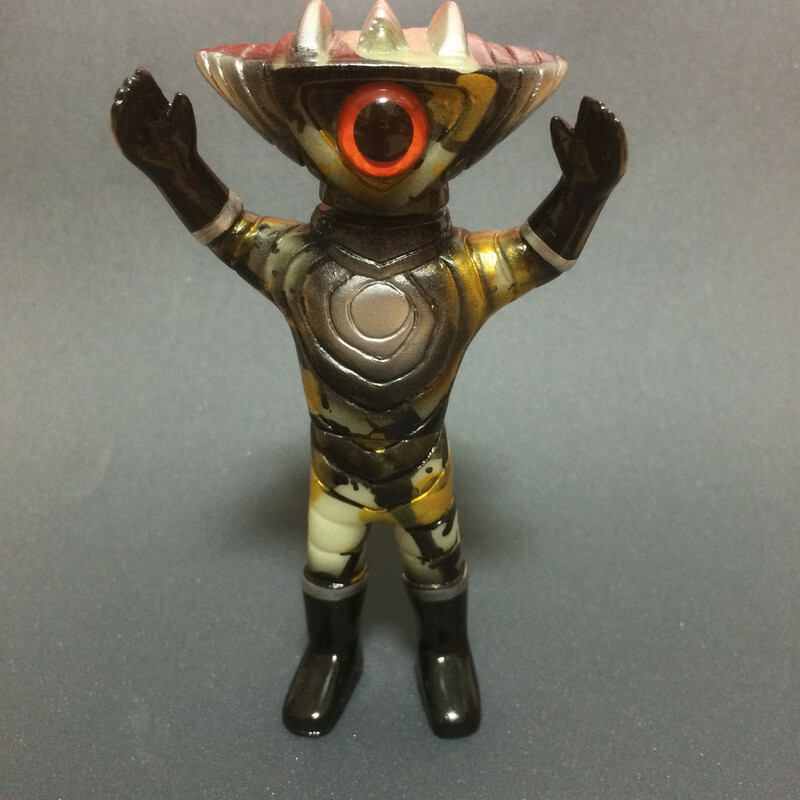 While numbers are very limited a few sets will also be held back for a web release at 11:00pm, 28th July (Japanese Time) on the Galaxy People store site. Just… a … little.. further. 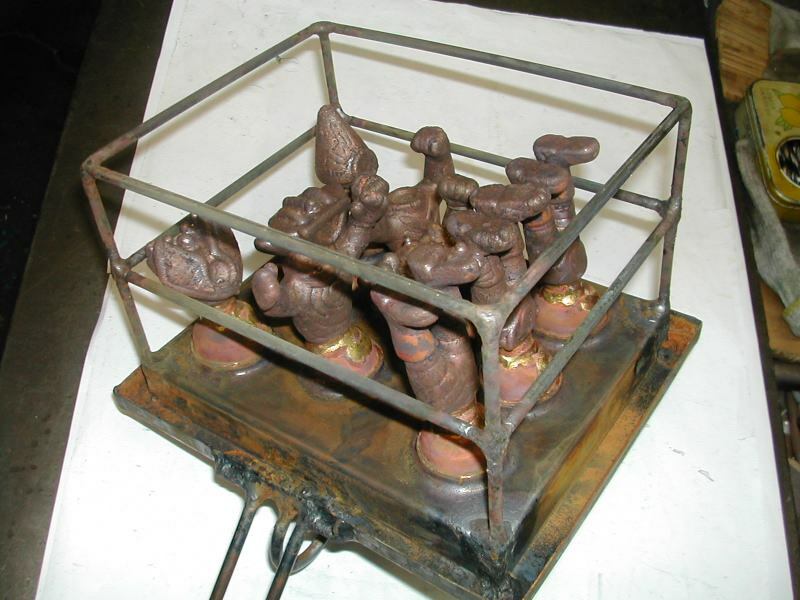 Just got a progress shot of the mold from the factory. This is happening!